Just like any child I don’t have much affection for vegetables. And if they happen to be some unusual one’s I will just run away. One day we were invited at a friend’s place for dinner. It was vegetarian dinner as our friend’s family was celebrating some festival. 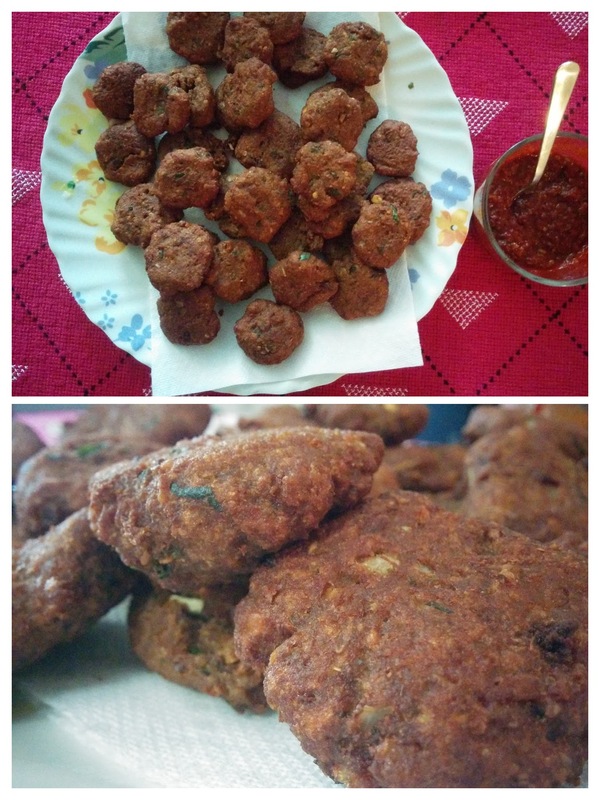 Our friend’s wife served us some deep-fried vada. They tasted just awesome. When I asked her what they were made of, she mentioned “banana blossom”. I was like dumbstruck. Can this vegetable taste so good? My mother always made a dry version vegetable recipe of it, served with rice. I was really surprised and happy too. However, I didn’t know how to clean the banana blossom. 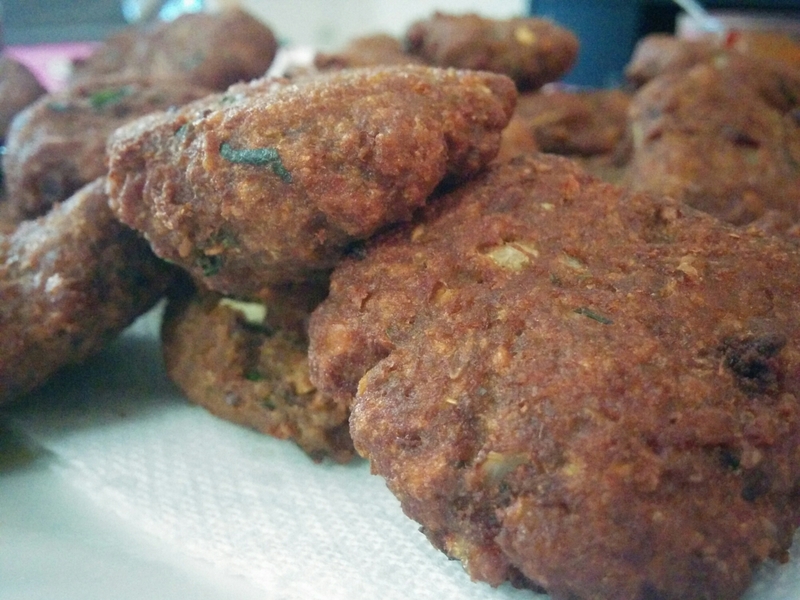 Now as my mom is here with me and the blossom was available at the grocery store, I decided to make these vada. The base recipe was shared by my friend to which I have made few changes. I will share how to clean banana blossom sooner. Drain the water from the above and grind them coarsely along with cumin seeds without adding any water. Remove them in a bowl. Now drain water from the chopped banana blossom and grind this too without any water. (The water in the soaked banana blossom and the dals is enough for grinding). Remove the above in the same bowl as ground dals. Add rest of the ingredients except oil and mix well. Heat oil in a saucepan for deep-frying. Grease your palm with water and make medium-sized vada or patties. Fry them in hot oil till golden brown. Serve hot with ketchup or chutney.